American Zurich or Zurich in North America is a subsidiary of Zurich, a company that was founded in 1872. In 1912, Zurich entered the US Market under the name Zurich North America. American Zurich is not a health insurance company, although they do sell a couple of health insurance products. Enter your zip code below and find affordable health insurance by comparing health insurance quotes today! Another thing that you will want to know about American Zurich is that they do not serve the community; instead, they are a commercial insurance company that only sells products to businesses. You may see the healthcare on this list and think that we have made a mistake, that this is a company that does provide health insurance. However, what healthcare refers to here is that the company will come into your company and determine its “health.” They do this by assessing your operations and determining where you have the highest risks in your business. In addition, Accident and Health refers to accidental death and dismemberment insurance, stop loss insurance for self-insured companies and travel insurance for traveling employees. You can also reach the company at [email protected]com. American Zurich uses independent agents and/or brokers to sell their products. Instead of a general agent finder tool, they provide you with a contact list by product type. For example, if you are looking for medical stop loss then you will see a list of agents who sell medical stop loss insurance. The benefit to this is that you can quickly find someone who specializes in the products that you are looking for. The downside here is that if you are looking to purchase multiple product types you may have to seek the help of more than one agent. American Zurich claims can be made online or via the telephone. They offer 24/7 claims services at 800-987-3373. In addition, you can go online and find their claims forms, fill them out and then email them to their claims care center. When you submit a claim, it is handled by one of the 3000 claims employees that work for Zurich. Additionally, claims are assigned by expertise, which means that if you have a commercial property claim, you will not be sent to someone who specializes in workers’ comp claims. According to American Zurich, the average experience for their claims employees is 12.5 years, which means that you will not be dealing with a trainee who does not understand the Zurich processes or how to handle a claim. You can choose to look for careers with Zurich in North America or you can expand your search to include jobs in places all around the world. The benefits are the same, as you will still be working for the same company, which is Zurich. You can search for and apply for positions with American Zurich online. You can search for available positions by function, location, position type and experience level. You can also search for positions by date posted or do a general search for a keyword. Zurich does not hire through employment agencies and does not accept resumes from employment agencies or head hunting firms so if you are using one of these companies for a job search, you will have to submit your own resume to American Zurich in order to be considered for a job. American Zurich does not provide quotes online. 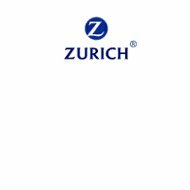 You can contact Zurich at 800-382-2150 to get a quote or you can contact a local agent that you know sells Zurich products. The reason that Zurich does not offer online quotes is because they deal with specialty insurance products that require more assessment than a basic quote tool has to offer. While a quote tool could be created that would provide this assessment, most people do not have the patience to fill out this type of form online. For your free online health insurance quotes, which only take a moment to get, enter your zip code below.